14 November 2014, at 20:00 in the Theatre de Gouvernestraat of Rotterdam. 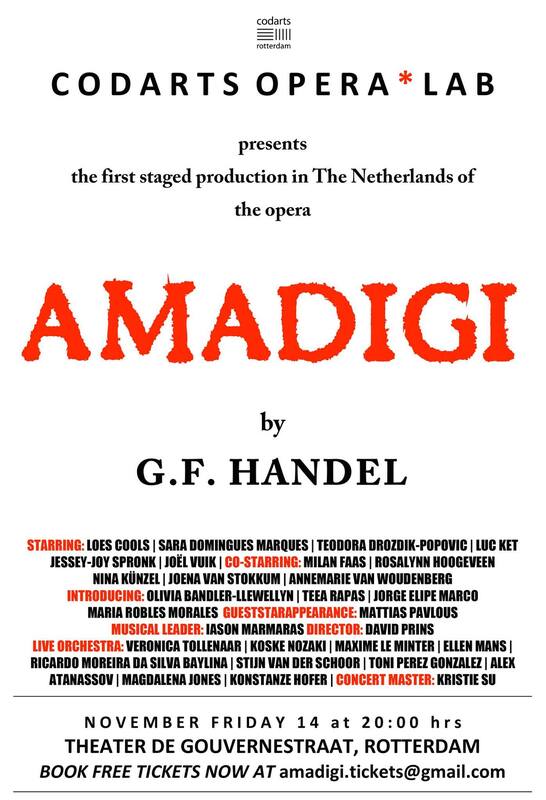 The first staged performance of Handel’s opera in the Netherlands directed by David Prins. Codarts ensemble led by Iason Marmaras.